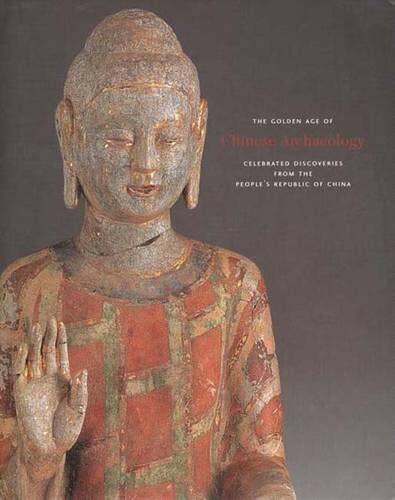 I will see the Exhibit in Chicago and have visited the Cairo Museum, but this book is like revisiting the exhibit or the next best thing to seeing it! 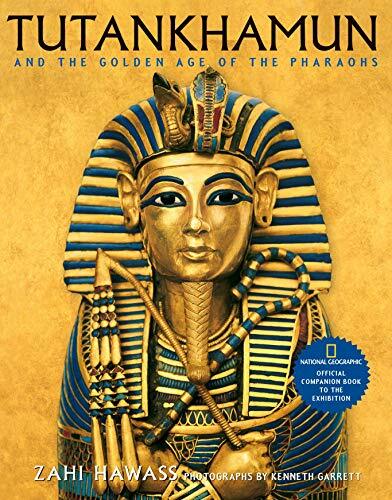 King Tut died around 1350 BC. and theories on the cause of death range from a hunting accident to murder. X-rays revealed signs of a blow to the back of his head, however. After his tomb was found in 1922, his death mask and golden coffin became among the most famous Egyptian artifacts in the world. The teenage king of ancient Egypt is best-known by his golden death mask. But a fiberglass reconstruction of Tutankhamen based on computer models generated X-rays in 1969 of his mummified corpse bear little resemblance to the golden funeral mask found in the pharaoh's tomb. But Tut's mummified head was too dried and sunken to give life-like dimensions for the reconstruction team said National Geographic. Tutankhamen makes the Crown Jewels look like costume jewelry.I saw the exhibit in Fort Lauderdale, and it was truly a once-in-a-lifetime experience.Everywhere you look there's another 3500-year-old masterpiece crusted with gold and jewels, and Tut was just one of many Pharaohs - they all received this kind of treatment. I obtained this volume of translations of Ancient Near Eastern texts and pictures along with its companionVolume I ï¿½ An Anthology of Texts and Pictures which was first published in 1958.This volume, which was published in 1975,includes translations of more recently discovered material selected from the 1969 anthologyof Supplementary Texts and Pictures Relating to the Old Testament. 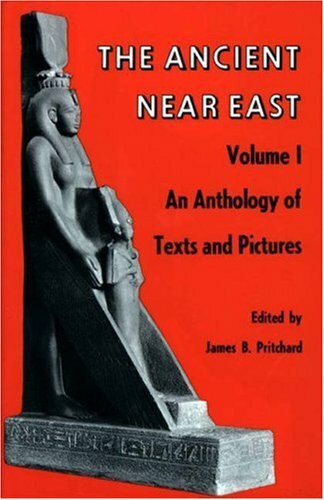 I bought this book along with its companion:Volume II ï¿½ A New Anthology of Texts and Pictures,because it was time for me to see for myself what the the original sources had to say about the Ancient Near East. 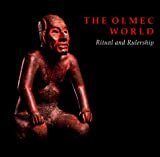 This quite beautiful book is the product of an exhibition by the Art Museum of Princeton University that ran from December 1995 through February 1996.It was called "The Olmec World: Ritual and Rulership".The first half of the book contains seven very interesting papers that made varying degrees of sense to me.Not because the papers were poor, but simply because I am not an authority in the field.Trying to weigh and interpret the scant threads of evidence (but the evidence is actually amazing) is tough for professionals.For amateurs like me, it is quite impossible to do much more than pay your money and take your chances.We follow along as best we can and watch developing trends in the scholarship. Mesoamerican archaeology is a little world by itself - I know, because I used to live in it. It has a very cosy relationship with museums and the "art" collectors who buy the objects that are looted from archaeological sites, which lie destroyed, torn into shreds under the forests all over Central America and Mexico. But it has almost no touch with reality any more. The things they say about the ancient Olmec are almost fantasy, because in truth we know so little about these people. 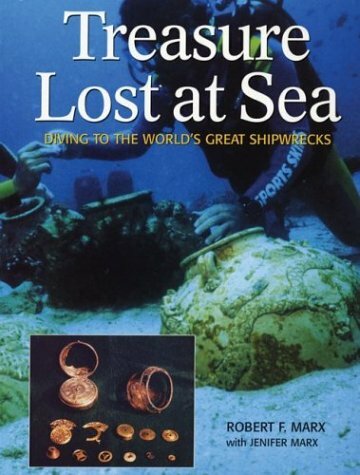 Almost all the objects in this book were stolen from Mexico, ripped from the archaeological context that might tell us something about their real meaning. These are probably religious articles - we may never know. But imagine trying to reconstruct the rich life of rennaisance Italy by looking at reliquaries in Catholic churches! 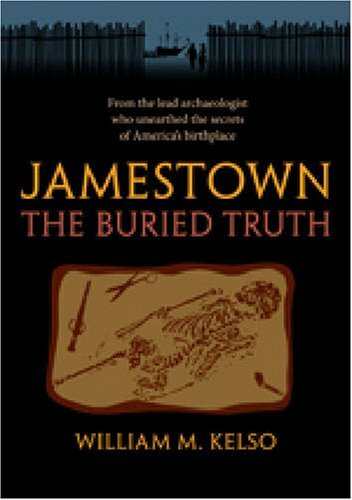 If you are still persuaded by the "mysterious Olmec" propaganda spouted by Coe and his looter buddies, go read Flannery & Marcusin the first 2000 issue of the Journal of Anthropological Archaeology, and think it over. What an absolute miracle we have these texts today, some four millennia after many of them were first conceived of in an ancient desert land! The story of the re-discovery in the nineteenth-century, after the last known copies were believed destroyed in Alexandria, is the recounting of an archeological miracle, and the fact that they survived the circumstances of their discovery at all amid corruption and mistrust in the black markets of Cairo is even more amazing. This is book is a wonderful piece to just look at.The plates of the papyri are gorgeous and are able to hold one in an almost trancelike state just looking into them.However, the texts of the papyri are not easily understood.So, this book is also amazingly helpful by the way it is put together for those of us who are non-specialists. Hymns for the Living; "Rise up, O. Pepi. You have not died !" The Sumerians is a very interesting book about ancient Mesopotamia andSumerian civilisation. 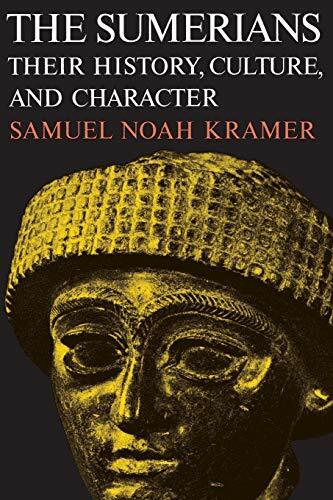 This is one of the best books ever written on any ancient culture. One of the nicest things is extended passages from original source documents. 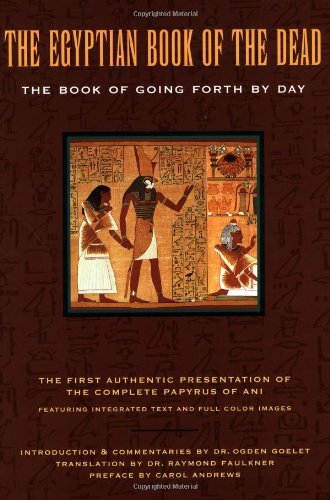 Frequently books written on ancient civilizations only give very brief excerpts. 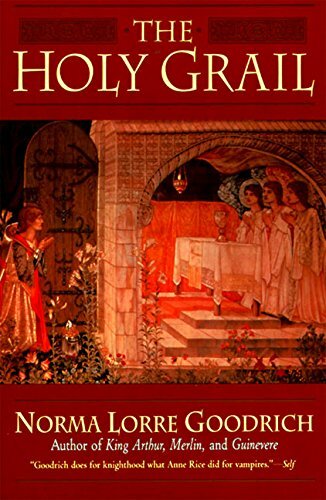 I have given this book as a gift to friends and family and highly recommend it to everyone. The effect of climate on history is undoubtedly profound, but beyond the last century most of what we know about climate comes from indirect estimates gleamed by measuring tree rings, ice cores and other rare artifacts that trace changes in temperature or moisture. 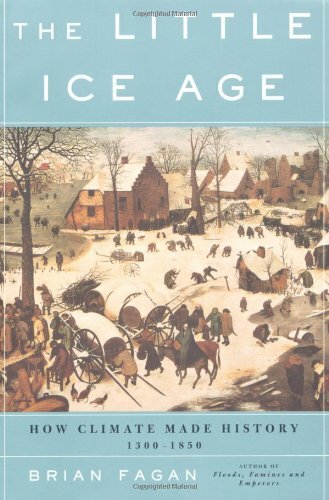 In "The Little Ice Age" these clues are combined with historical records to build an insightful history of European peoples. This book describes how climate changes over the past millennium affected humans in Europe and nearby.This time period can be divided into the medieval warm period, the little ice age (roughly from 1300-1850), and the period of global warming.And, wow, will you hear of some really bad weather: summers when the rain almost never stops, sand dunes that move so fast people can barely escape, and glaciers you can see advancing daily. Nothing Changes like the Weather. 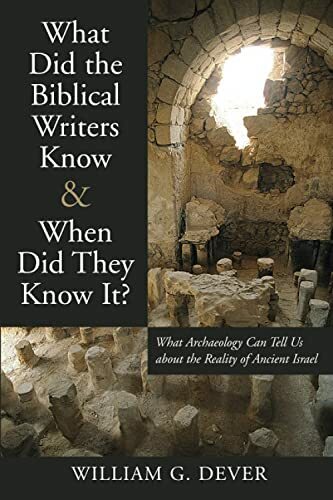 Chapters 4 and 5 in this book are very interesting, a good survey of archaeology in Israel. The preceeding 100 pages amount to little more than scathing personal attacks on other researchers coupled with some brief and basic arcaological theory. Though it is tempting to get into the post-modernism bash, the personal attacks exhibited on those researchers are in poor taste. And I'm not downplaying this, he lists their names and then gives several paragraphs explaning why their biases prevent them from being good scholars. 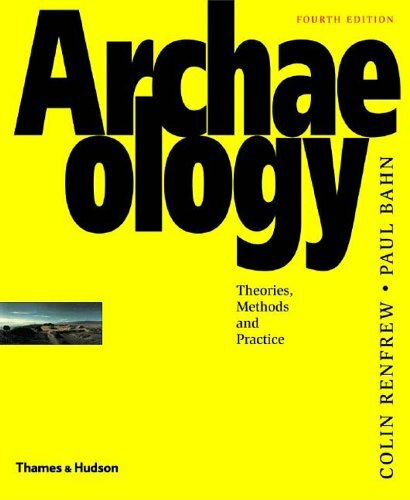 I sincerely hope this isn't reflective of archaeological scholarship in general. From other books I've read (Finkelstein, Mazar, Stern, and Cline), I've noticed that Dever is the only one to resort to personal attacks. While the polemic against the minimalists gets a little excessive at times, I have to say that it is necessary, as they are very vocal these days.There is no need to debate fundamentalists because they've made up their mind already (as Michael Freeman's review shows). Dever deserves a blue ribbon for the most cumbersome title in many years.He should also garner an award for his blistering assessment of "postmodern" historians.While he has contested "minimalist" academics elsewhere, this book is an excellent compendium of the issues and evidence regarding the historical validity of the Hebrew Bible.Although the arena of biblical history is small, the issues dealt with are important.His conclusions will have lasting impact not only in biblical history, but archaeology and other disciplines.Although a serious subject, Dever's piercing wit keeps this book a lively and captivating read. In the book, there are two guys. Their names are Larry Williams, a self made millionaire, and Bob Cornuke, a retired police officer and a former Swat-team member. 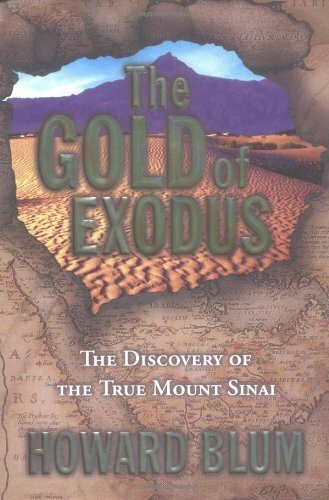 Larry Williams is also an archaeologist and he hears rumors that the real Mount Sinai (the mountain where god gave Moses the Ten Commandments) is actually in present day Saudia Arabian, on Mount Jabal al Lawz. They want to make sure that they are right, so they actually follow the route on which they believe the Hebrews used to get out of Egypt. After a couple of days, they realize that this must be the way that they took. Every single detail that is in the bible they find. When the get to what they believe is the Reds Sea, They go scuba diving in it. They find the prove that they need and Larry almost gets eaten by a shark. This book is written like a 4th-rate children's adventure story. 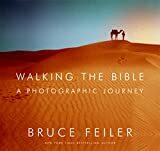 From the spy story to the lead "characters" furtive journey into Saudi Arabia to their diving expedition - it's all so full of hyperbole and exaggeration that the pictures of the book are needed to convince the reader that the trip happened at all. 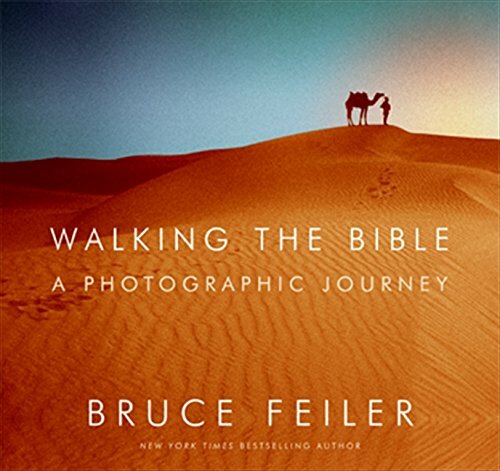 If you want to review the wonder of human kind's imprint on the earth, enjoy this book. If you want to wonder at the uses of the earth's treasures to show creativity and genius spend time with this book. That these architectural remains can be seen from the air in entirety is made possible by Georg Gerster's incredible artistry. Exceeded expectations. The views were unexpectedly revealing, and the written descriptions of each view were also unexpectedly revealing. History Come Alives From A Different Perspective. The photographs in this book are fascinating, as you can see every little detail of the numerous locales and historic places, such as Stonehenge, the Great Wall of China, the Tower of Babel, and Antarctica.The terrain around the ancient St. John's Basilica in Turkey where the apostle John was buried in the sixth century and the stone monastry in Ireland amid all the rocks with the vivid green are amazing to see. I came searching for this book on Amazon because I checked it out from my library & don't want to give it back.Other opinions seem to indicate that the book is unreadable; however I find it much more readable than the usual fact-filled scholarese that's so dry it can't be choked down into consciousness.I'm just starting on my own Holy Grail quest, so mayhap my opinion should be considered 'beginner', but I've found this book interesting, easy to understand, with a great bibliography for further study.I also appreciate her liberal use of timelines, quotations & citings to break up the monotony of page after page of fact-filled text. Save your money. i found this book to be pure fiction & garbage very little research was done by the author. Its an Alice in wonderland tale. This book has proved more and more valuable over time. As a pastor and seminary student, it helps to place Biblical events in the proper context. 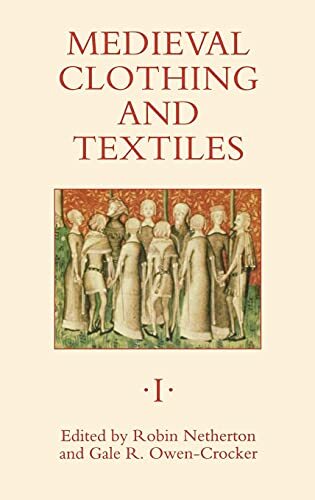 As an aspiring Ancient historian, the clear, concise text and apt photos and illustrations make sense of some pretty dense reading in other texts. It's even a fun read for enjoyment! 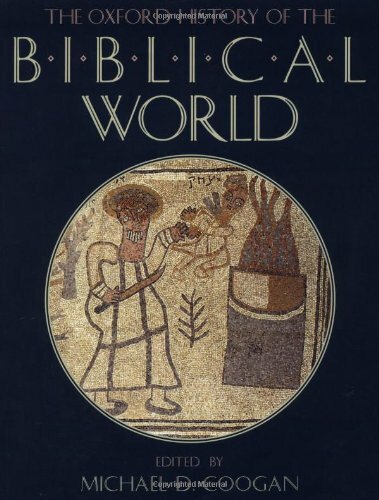 I must admit that my expectation was for greater accuracy to proper verbage than was printed.Much of the time the authors used location names, like 'Palistine', when referencing 'BC' (BCE) rather than the true name 'Isreal. 'Small verbal goofs like this was unexpected from an institution like the Oxford press.Most of the information, though, was excellent, and informative. 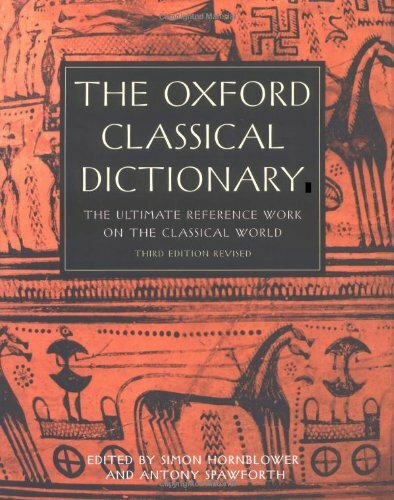 The Oxford Classical Dictionary (OCD) is a wonderful reference for people with a keen interest in ancient Greece and Rome. 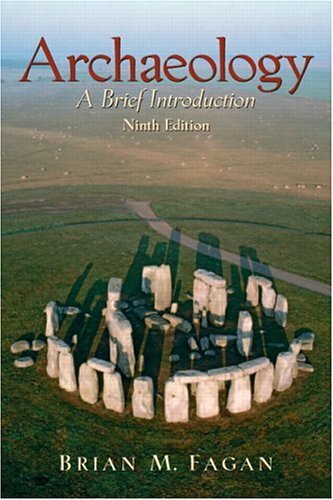 It contains brief articles on almost every imaginable aspect of ancient Greek and Roman history (including thematic entries), by scholars who are specialists in their fields.The entries are informative yet concise, and provide a good starting point for further study through cross-referencing and mini-bibiographies.It is probably the most useful to students, but the short articles are written in such a way that non-specialists will not feel left out. I received the first edition as a prize in a library contest back when many of the people who appear in the OCD were still alive -- when you could actually feel the print on the pages.It has served this classist well these many years.The second edition seemed a bit boring -- one could but wonder, why the effort? Hence, I was a bit wary of the "new & improved" 3rd edition, though I have long respected Hornblower's work.